Apparently, roasting vegetables is a relatively new trend. A recent article traced the history of vegetable preparation, finding that home cooks of decades past often preferred steaming, sauteing, and even boiling when it came to cooking vegetables of any variety. Roasted vegetables were rarely found outside the restaurant kitchen, and it was only in the 90’s and early 2000’s that the cooking method assumed popularity. As someone with only a few year’s experience in the kitchen, this came as a huge shock to me. How could decades of eaters missed out on the sweet, caramelized flavor of roasted Brussels sprouts, or the crispy, tender texture of roasted squash? How could cooks have ignored the simplicity of tossing vegetables in oil, turning on the oven, and waiting for the vegetables to come out perfectly done? 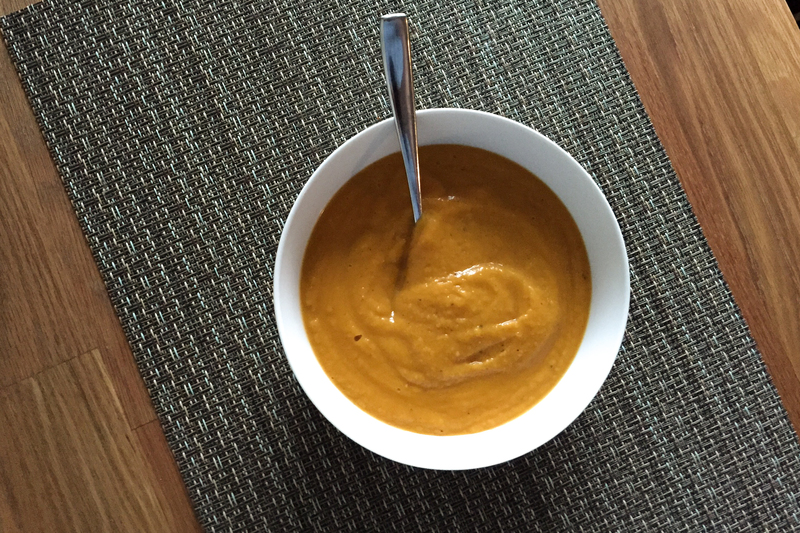 To show the full potential of the roasted vegetable, I’ve chosen this soup recipe. 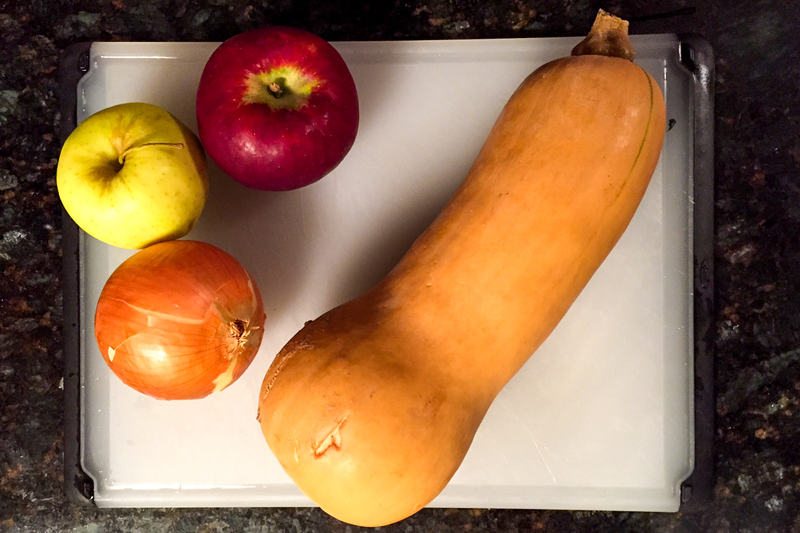 Butternut squash soup is typically made over the stove top, where the squash becomes tender by simmering in stock. 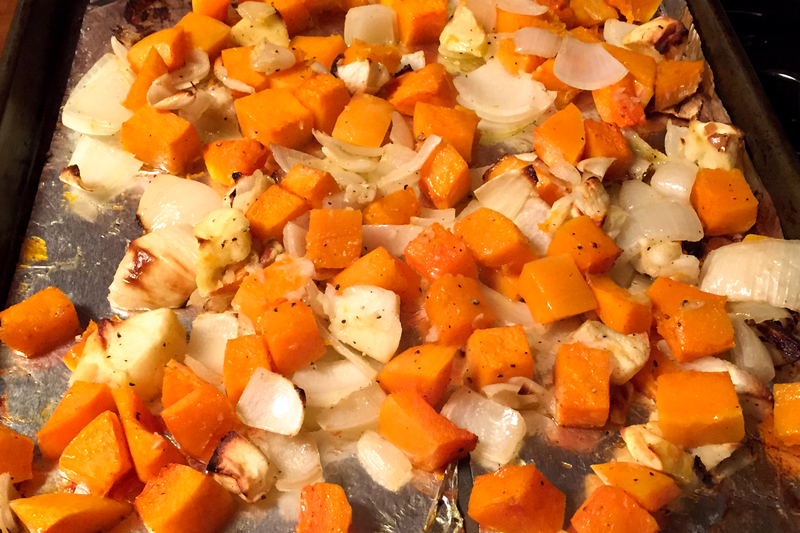 This recipe veers from the traditional, roasting the squash instead. This cuts down the time spent over the soup pot by 75%. The entire soup comes together during the last five minutes, when the vegetables and warmed stock are added to a blender to combine. The result? a soup that captures the unique, deep flavor of roasted vegetables. It’s perfect for a cold, January night, and begs for a slice of crusty, toasted bread. Roast vegetables at 425 for 30-40 minutes, until tender. Heat stock in a medium saucepan over medium heat. 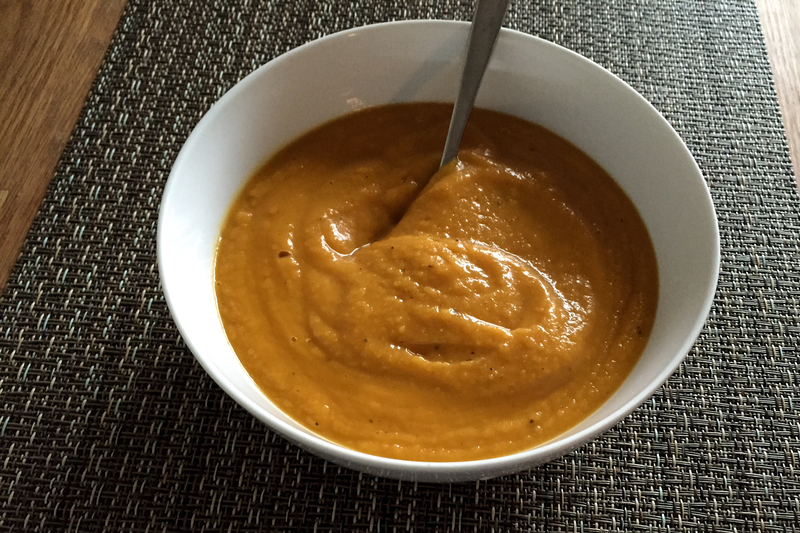 Add roasted vegetables and 1/2 cup of chicken stock to a blender or food processor. Pulse until the mixture is pureed and has a smooth texture. Transfer the mixture to a large soup pot and add chicken stock until the soup reaches your desired consistency. Add curry powder, salt, and pepper to taste. Serve, topped with scallions and toasted coconut.